On each Thursday in February we will be diving into weekly spotlights of the iconic artists part of our 2016 Season at The Joyce Theater. Throwback your Thursdays with us to learn where the season’s artists were in 1979, the year Trisha Brown premiered her iconic work, Glacial Decoy. 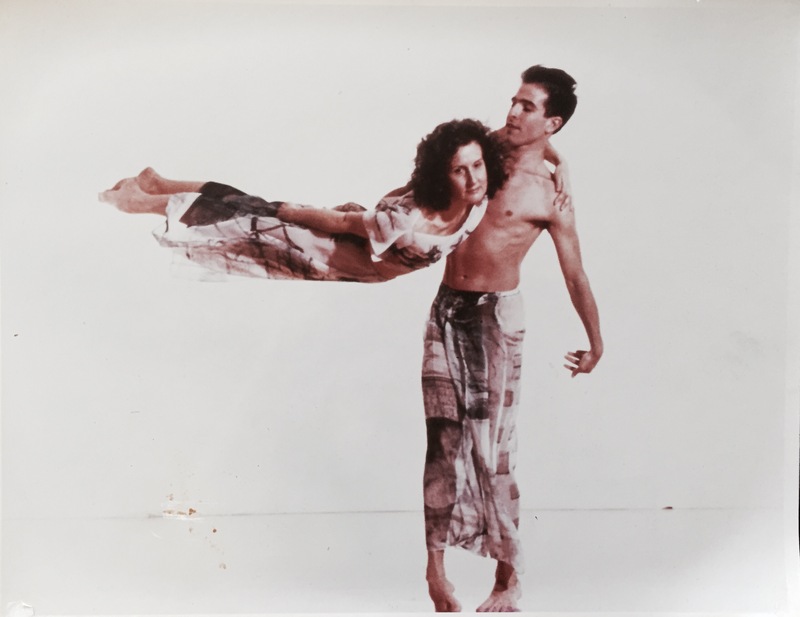 This week we’re taking a look back at the making of Glacial Decoy, and Stephen’s early years in the Trisha Brown Dance Company as its first male dancer. 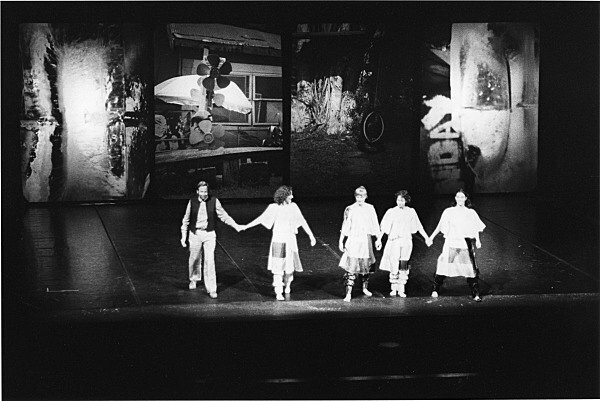 Glacial Decoy was Brown’s first choreography intended for the proscenium stage. 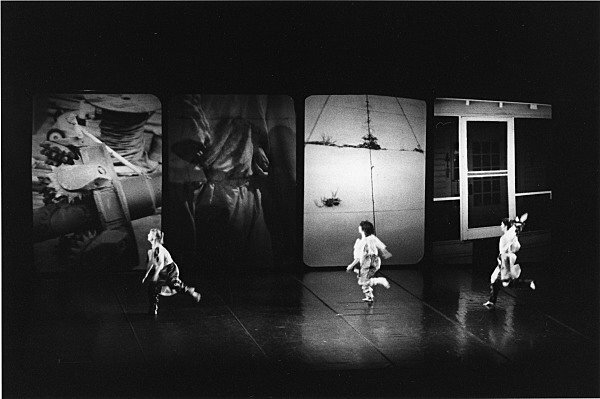 It is performed before a evolving backdrop of photographic projections, designed by Robert Rauschenberg. From Stephen, on Glacial Decoy…. This season it is my deepest pleasure to present Trisha Brown’s succinct masterpiece, Glacial Decoy (1979). One of the peak moments in her long collaboration with artistic luminary Robert Rauschenberg, I see this as a reunion of two of the great minds of our time. As a young dancer in Trisha’s company, this work was brand new, so I was faced with a life-changing experience right out of the gate. I came to love both these artists as family over the years, but Glacial Decoy left an indelible mark on my young dance-maker’s mind. From Trisha and Yvonne Rainer, on the process…. 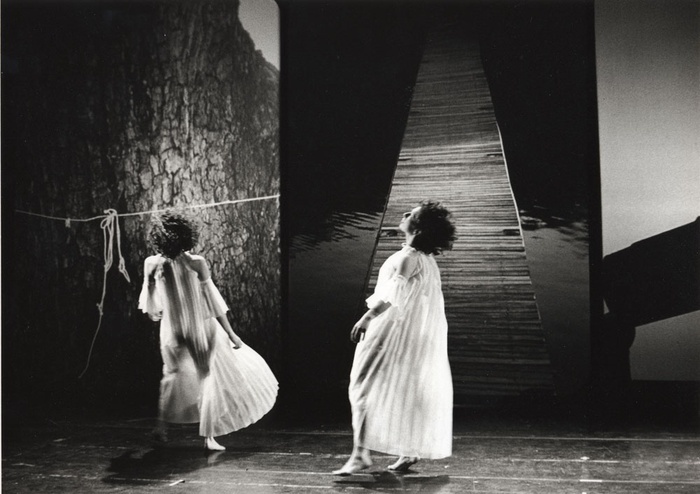 Trisha Brown: I have been frustrated for years about how slowly my work proceeds. I decided to hammer this one out and to push myself as hard as I could. Actually I started the movement a very long ago – August 1st, 1978. I set up a regime and a pace that was unstoppable. I think that I choreographed every day for eight or nine months. Yvonne Rainer: Was the dance made in the same sequence in which we saw it? Brown: No. The opening section presents the outside edges of the so-called dance; the middle, the center of the phrases, is missing. The most recent thing we worked on was a slow duet and trio. Out of that, when the dust settled, the duet which is the core for the dance emerged. And that is one continuous phrase of about seven minutes length..I complain that I don’t want to talk about structure but here I go. When you look at a piece of sculpture in a gallery, do you ask, Where’s the music? Visual artist Robert Rauschenberg was one of her richest collaborative relationships, creating together from 1979 with Glacial Decoy through 1994 If you couldn’t see me. When she started making work for the stage, she started asking herself what was essential about the stage. She enlisted Rauschenberg’s help in questioning the conventions of the stage. 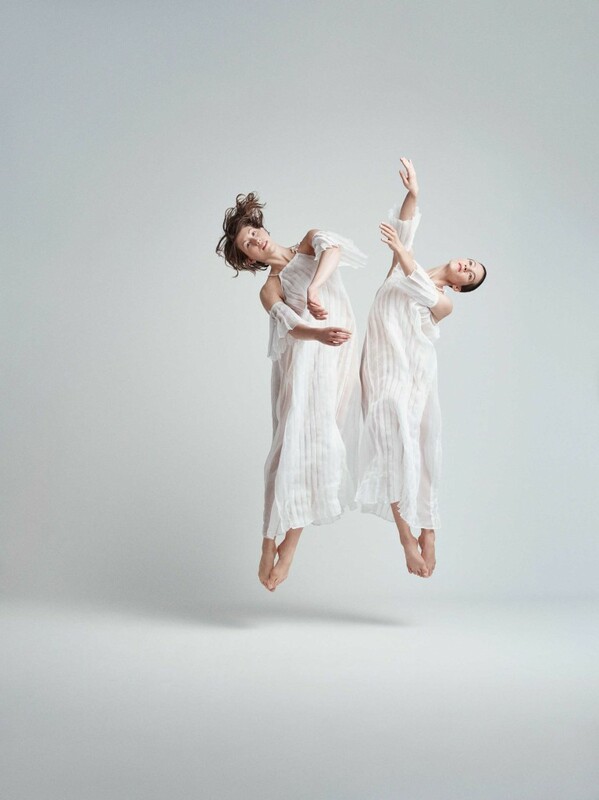 In Glacial Decoy, they both envisioned the dance extending beyond the proscenium, creating the illusion that the dancers did not stop at the wings.